Europe and US agree to work more closely to lower operating cost of the F-35 as growing numbers arrive in Europe, reports Reuters. “We discussed the importance of ensuring that future costs – specifically for sustainment – are kept to a minimum so that we don’t have to cut into future purchases,” says US Air Force Col. Leslie Hauck of the fifth generation integration office at the US Air Force headquarters in Europe. 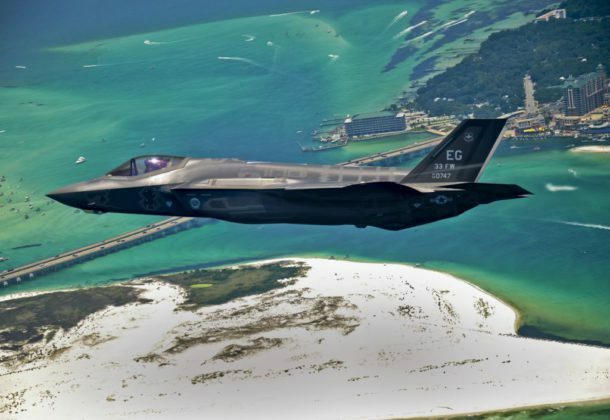 Britain’s largest and most powerful warship, HMS Queen Elizabeth, comes to the US to train with the F-35B for the first time, reports Business Insider, at NAS Patuxent River. Sept. 11, 2001, spawned nearly a generation of US war in Afghanistan, reports The Atlantic. A US soldier killed there this summer wasn’t yet three when the war began, but 17 years on, America remains determined to stay. Boeing bags a $2.9 billion contact for the fourth lot of KC-46 tankers, raising the total to 52 aircraft on order, reports Defense News.The award, covers the production of 18 KC-46s and other associated gear like spare engines and parts, support equipment, and wing air refueling pod kits. All Navy ships that can sortie are leaving ports in Virginia as Hurricane Florence bears down on the Eastern Seaboard, reports Navy Times. “Our ships can better weather storms of this magnitude when they are underway,” said ADM Christopher Grady, commander of Norfolk-based US Fleet Forces. Shippers fear engine failure as industry is forced to upgrade fuel, reports Bloomberg. From Jan. 1, 2020, the vast majority of the world’s merchant fleet will have to use fuel containing no more than 0.5 percent sulfur, down from 3.5 percent in most parts of the world today. The change is expected to upend both shipping and refining industries, with analysts forecasting higher oil prices, slower-sailing ships, and some observers even warning of risks to world trade. Four Chinese state-owned companies were arraigned in federal court in California on charges of economic espionage, reports UPI. The Pangang Group Co. Ltd. and three of its subsidiaries allegedly conspired with Chinese nationals to acquire stolen or misappropriated trade secrets involving the production technology for chloride-route titanium dioxide, also known as TiO2, from the DuPont company. The Navy wants to extend the longevity divers can spend in frigid water with a wetsuit, reports American Military News. Researchers at MIT discovered filling small air pockets within the suits with heavy, inert gases like argon or xenon, can extend the effective insulation properties to expand from minutes that divers can currently remain in 48 degree Fahrenheit water, to as much as three hours. DefSec Jim Mattis is concerned that commanders have gone soft on military misconduct, reports Military Times. Administrative discipline tends to be bureaucratically easier and less time-consuming than traditional Uniform Code of Military Justice measures to punish misconduct. “Administrative actions should not be the default method to address illicit conduct simply because it is less burdensome than the military justice system,” he said. Navy Times reports the inside story of how a US Navy pilot shot down a Syrian jet. Capt. Patrick “Fin” Hannifin assumed command of the Yokosuka-based USS Ronald Reagan, the nation’s only forward-deployed aircraft carrier, reports Stars and Stripes. Web Business Solutions Inc., Fredericksburg, Virginia, is awarded a contract ceiling $70,553,538 indefinite-delivery/indefinite-quantity contract to provide support for the Command and Control Training and Education Center of Excellence. Work will be performed in Camp Pendleton, California (27 percent); Quantico, Virginia (23 percent); Camp Lejeune, North Carolina (17 percent); Okinawa, Japan (16 percent); Twenty-nine Palms, California (10 percent); Marine Corps Base Hawaii (7 percent), and is expected to be completed by September 2025. Fiscal 2018 operations and maintenance (Marine Corps) funds in the amount of $4,703,500 will be obligated on the first task order immediately following contract award and funds will expire the end of the current fiscal year. This contract was competitively procured, with four offers received. The Marine Corps Systems Command, Quantico, Virginia, is the contract activity (M67854-18-D-7821). Tecnico Corp., Chesapeake, Virginia, is awarded a $25,598,667 firm-fixed-price contract for the Landing Craft, Air Cushion service life extension program (LCAC SLEP). Tecnico is contracted to provide three LCAC SLEP availabilities, with an option for one additional availability. The LCAC SLEP will extend the service life of an LCAC from 20 to 30 years, sustain/enhance craft capability, replace obsolete electronics, repair corrosion damage, reduce life cycle cost by improving reliability and maintainability, increase survivability, and establish a common configuration baseline. The LCAC SLEP scope of effort includes repair and upgrade of the buoyancy box, gas turbine engine replacement, installation of a new skirt, installation of an integrated command, control, computers, communications and navigation equipment package, and accomplishment of selected craft alterations and repair work. This contract includes options and orders which, if exercised and issued, would bring the cumulative value of this contract to $47,995,482. Work will be performed in Little Creek, Virginia, and is expected to be completed by February 2021. Fiscal 2017 shipbuilding and conversion (Navy) funds in the amount of $25,598,667 will be obligated at time of award and will not expire at the end of the current fiscal year. This contract was competitively procured via the Federal Business Opportunities website, with two offers received. 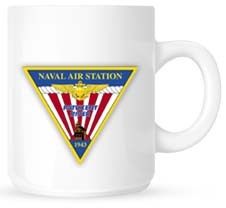 The Naval Sea Systems Command, Washington, District of Columbia, is the contracting activity (N00024-18-C-2400). Lockheed Martin Corp. Rotary and Mission Systems, Moorestown, New Jersey, is awarded a $13,020,091 cost-plus-fixed-fee contract for Aegis design agent field engineering services. The services include test and evaluation, engineering change development, ordnance/ship alterations, modernization engineering, logistics and technical support, ordnance alterations kit development, integration and test support, AN/SPY-1 series radar antenna refurbishment and Coast Guard deep-water program design agent field engineering support. These services are in support of Aegis-equipped CGs and DDGs, allied Aegis-equipped ships and US Coast Guard Aegis-configured ships. This contract includes options which, if exercised, would bring the cumulative value of this contract to $63,992,064. This contract combines purchases for the Navy (77 percent); and the governments of Japan (19 percent) and Spain (4 percent) under the Foreign Military Sales program. Work will be performed in Norfolk, Virginia (34 percent); San Diego, California (31 percent); Pascagoula, Mississippi (4 percent); Washington, District of Columbia (4 percent); Port Hueneme, California (4 percent); Yokosuka, Japan (19 percent), and Rota, Spain (4 percent), and is expected to be completed by September 2019. Fiscal 2018 operations and maintenance (Navy) funding in the amount of $445,133; and fiscal 2018 other procurement (Navy) funding in the amount of $713,000 will be obligated at time of award and will not expire at the end of the current fiscal year. This contract was not competitively procured, in accordance with 10 US Code 2304(c)(1) (only one responsible source and no other supplies or services will satisfy agency requirements). The Naval Surface Warfare Center, Corona Division, Corona, California, is the contracting activity (N64267-18-C-0132).